The Evil Within 2 is looking to add some new frights, scares, and terrifying creatures to one-up the 2014 original. Because as Shacknews learned in our recent hands-on, horror is an artform. Bethesda, developer Tango Gameworks, and Resident Evil series creator Shinji Mikami unleashed all kinds of frights and horrors on the gaming public in 2014 with The Evil Within. The tale of Sebastian Castellanos featured a tense atmosphere, some frightening environments, and some truly spine-tingling creatures. While it had some problems, as noted in our original review, there was an encouraging amount of potential on display. The Evil Within 2 hopes to realize that potential, bringing Sebastian back for another investigation and another frantic search. But while he saw plenty of bone-chilling sights in the first game, there appear to be even more twisted creatures and demons awaiting him in this sequel. Shacknews recently had a chance to go hands-on with Bethesda's horror follow-up to see just what lies ahead. Sebastian is searching for his missing daughter, Lily, abducted by a mystery man. But the town he's in has been overwhelmed by the paranormal. It's even spread to City Hall, as that's the site of our hands-on. Sebastian finds his target and gives chase, but is quickly stopped by thunder and flashing images of a city left in ruins. When the thunder clears, Sebastian is confronted by The Guardian, an amalgamation of multiple heads and appendages, along with a buzzsaw for an arm. After dispatching The Guardian, it was time to enter City Hall. A downed security guard urges Sebastian to take his communication and connect it to an emitter upstairs to stop the spreading madness. This is where The Evil Within starts to shine, as Sebastian steps into the belly of the beast and begins to witness strange and macabre things before his eyes. A puzzle has players look to re-enact an old photograph by piecing props together, all as a mysterious shadow will occasionally run across the background. Sebastian will encounter a dead end after wandering down a hallway, only to turn around and see that everything behind him has completely changed. It's the kind of atmosphere where one would expect a jump scare, but that actually doesn't happen this time around. But this part of the demo capably instilled that fear into me, even convincing me to slide my headset off my ears ever-so-slightly. After finding the emitter, Sebastian is suddenly frozen in time by an evil artist, calling himself Stefano. After monologuing over what he hopes to put the hard-boiled detective through, he disappears and unleashes the second of this demo's hideous creatures, a camera demon called Obscura. The next boss fight begins, with the idea to outlast Obscura in hopes that the emitter will activate and wash all the paranormal activity away. But since Obscura can stop time, the idea becomes to shoot his lens in order to disrupt his power and keep the countdown timer moving. Both boss fights, the Guardian and Obscura, featured some encouraging positives. They both put forward the idea that ammo is a limited resource and players need to learn to be more careful with it. In my battle with Obscura, I stupidly kept unloading on the demon in some vauge hope of causing damage. Once I figured out how to affect it, my ammo was already running low, with only a scarce few ammo pickups in the room. The Guardian, on the other hand, requires some quick thinking by using the surrounding environment to make it vulnerable. Leaking gas tankers, gasoline barrels, and tripwires that triggered slowness barriers all needed to be used to entrap the demon before letting fly with whatever weaponry was available. Both fights also emphasized the importance of stealth, since sound cues could alert the demons towards Sebastian's location. While the instinct is to run as fast as possible from these horrible creatures, sprinting often only brings players to closer to their demise. There seems to be a lot to be scared of with The Evil Within 2. It looks to be hitting all the survival horror notes right, offering up improved combat while also downplaying that element of the game in favor of creating a generally more frightful atmosphere. 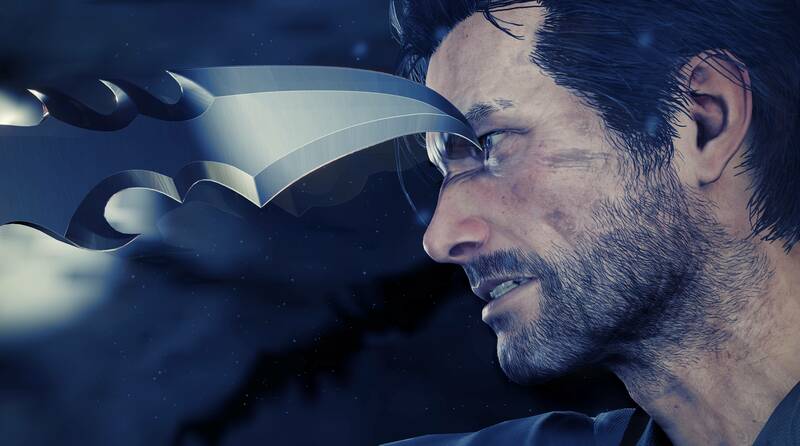 Whether Sebastian's journey will remain this enjoyable the whole way remains to be seen, but players will soon be able to pick up his investigation for themselves when The Evil Within 2 arrives on PC, Xbox One, and PlayStation on Friday, October 13.